My heart is ingesting those very words right now! Give me Jesus!!!! Will you say it with me? Together let's say: GIVE ME JESUS!!! Let's face the SON now together. When we do—like the flowers—we will grow for it is natural to grow in Christ when we turn to Him. So put whatever is bothering you aside for a moment, and while we are together in these next few minutes, let's invite Jesus to be RIGHT HERE WITH US! He is not still hanging on the cross—HE IS THE RISEN LORD!! Where two or more are gathered in His name, He is right there!!! He is right here—right now—in this moment in time in October of 2012! Welcome Lord Jesus! Lord, thank you that you are right here with us now. Speak to us Lord. 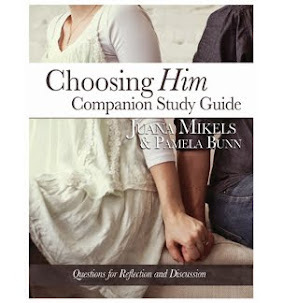 Show us what it means to be a godly wife as we study this together on the blog this week. Show us how to live for you and grow closer to you through the vehicle of our marriages—for those of us that are married. Help me Lord to live it out at home—not just write about it here. I want you to transform me Lord, and I want the women reading to know that it is You in us that can do it, not us. Lord, help them to know that it is not hard to be the godly wife that I am going to write about this week—help them to know IT IS IMPOSSIBLE. Lord, who would even want to read—much less take action on something that is impossible? Oh, Lord, keep bringing these women back so we can grow together and share how You are doing amazing things in the lives of those that don't want to lead a mediocre life— stumbling along in their own strength trying to live independent of you. Show them Lord, especially the ones who are ready to give up on their marriages that all things are possible with You. Help us Lord to see Christ in our husbands, not because they deserve it or because they act like Christ but because You said it in your Word "when we have done it for the least of these my brethren, You have done it unto me." Wow, Lord! When I changed that button on Terry's shirt last week, when you had me offer to make him eggs and coffee this morning, when you had me with pen and paper in hand ask him what he would like from the store, when you had me ask him to kiss me before he leaves at the crack of dawn for exercise so he could have a good departure from me and our home.... YOU SAY I HAVE DONE IT UNTO YOU!!!! AMAZING!!! Thank you for having my husband notice this kindness and even say, "Thank you for taking good care of me! Thanks so much! I appreciate you doing that for me. Starts the day off right!" Lord, help me to keep doing it as unto you even if he doesn't notice or say anything for if it is done as unto You, nothing gets past You!!! You can see right into my heart and I desire to be your servant. Lord, I know that my husband was more gentle with me this morning when he later realized I had taken his reading glasses again and moved them. I'm convinced his gentle reminder to me "not to go into his drawer and remove his glasses" when I have my own scattered all over the house was more patient than it would have been because I had been so kind to him! Thank you for showing me such a tangible sign that this godly wife thing works, and we get more of the man we want, too! But like the 3 young men in the Bible who were thrown into the fiery furnance—Shadrach, Meshach, and Abednego—I know You are able...but if You do not(they knew you were able to save them from the fiery furnace but even if you did not, they would not bow down to their culture—help me to have these young men's faith who were committed to You no matter what results You allowed. No matter if my husband notices or not. Oh, my! That's against my humaness, so make me like these young men! Thank you that you are showing me how important it is to greet Terry when he comes in the door, and stop what I 'm doing. Thank you for helping me to see his reentry into our home as setting the tone for the rest of our time together. Thank you for sharpening me in an area I had become so lazy and complacent in—taking the gift of my husband for granted. Lord, I thought it was so funny when I happened to be close to the garage and heard his car arrive I immediately got up and went to greet him, but was beaten to it by our dog! If you can speak through a donkey in the Bible, I suppose you can speak through our dog, Petey. As I followed Petey to the front door and he darted out with enthusiasm to greet Terry, I thought... Wow! Petey's eagerness to just see Terry is so beautiful! I want to be like our doggee!!! 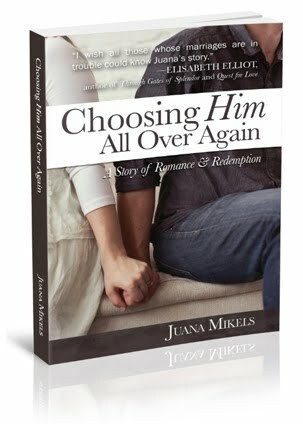 Lord, help each woman reading to know she has so much power in her hands if she would receive you and extend forgiveness to her husband for any pain he may have caused her in the past. Help her to know that even if he is not a Christian, that you want her to love him unconditionally, just like you loved us even while we were yet sinners. Help the readers to know how much YOU CARE FOR THEM! You made us! Lord, all of our hope is in You. Lord, we go with You now. Give Us Jesus. Amen. Petey is not my competition in greeting Terry first, he's my role model! I promise I will get to what Nancy Cobb said her talk last week as we continue this tomorrow! I feel like it's enough for us to ponder on for today. I also want us to talk about how God said it was not good for man to be alone and as wives God gave us to be our man's companion. (There are a lot of lonely men who are married—we have the keys in our hand to our husband's "aloneness!" God is speaking to me, too, in concrete ways I will be sharing with you. More tomorrow! I love you, Sister! Wow thankyou for posting , I realize I too have been a bit lazy when it comes to being a wife. I have let the house and myself go. Although lately I have been cooking more meals, there is way more that I need to be doing. Thankyou for convicting me of this! I look forward to your posts! I'm sorry that this post is "late" in your circumstances, but I am joining you right now in praying for what "looks" like an impossible situation. Nothing is impossible with God. 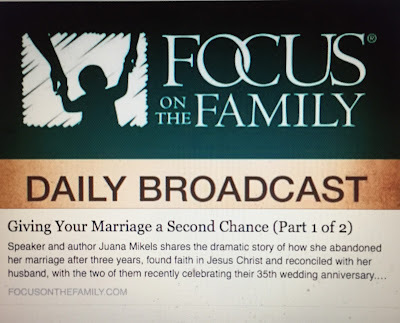 The great thing about learning to be a forgiving spouse (or forgiving him in your heart even if he is physically gone) is that we need to be forgiving in all our relationships. So the lessons I'm writing here this week can actually apply beyond husbands, to other of our relationships. Thanks SO much for this! God is using you for sure, sister! I have bee struggling with some marriage issues, and this blog was just what I needed. Blessings!!! That's so great, Jude! I pray for all the readers, and tomorrow when our Bible study prays before we study the book of John, I asked them to pray for the readers, too! So I'm praying God will use the blog to help women to be godly women, including me!!!! There is so much more on this! See you back here this week so we can keep it up! I just found your blog today. I started by reading this blog 10/22/12 since it was my first anniversary! I was married before to a godly man for 29 years and 11 months before the Lord took him home. We had a good marriage, not perfect, but we loved the Lord and each other. I was devastated when he passed away. I hated being alone, after all I grew up being married since I married at 16. Then God brought my Sweetheart and I together via an internet dating site. We are so happy together and I do all I can to let him know how much I love him andand appreciate him! God has given me a second love of my life and I am striving not to make mistakes I made with my first love! We are not promised tomorrow and should make the most of today! Thank you for your blog, it blessed me! I look forward to reading more and growing with you, sister!! Dear SG, I can hardly get the smile off my face after "meeting" you just now and reading about God's faithfulness in your life!!! I am so so thrilled that you took the time to comment so I and others can be blessed reading your story. I look so forward to growing with you, too, Sister!!! 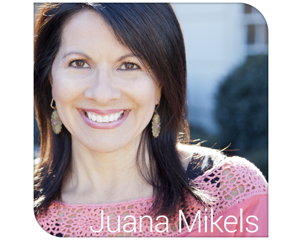 Juana thank you thank you and thank God for this blog post. I am going through a real struggle with my husband. We have our first marriage counseling appointment on Friday at 1:00pm. Please pray for us. We have a blended family (my ex-husband left me b/c he is gay and his wife left him while he was in the military) and it is very hard. I once read that 75% of second marriages fail. Sorry for going on a bit about that. However, we still need as many prayers as possible. We have made it 8 years and I just don't want to give up - it is not an option. This post really spoke to me because I am suffering so much. Thank you again. Many blessing to you and your family. I will keep my faith in our marriage.